Afterpay is now available in-store with Vend! We are so excited to announce that from today, retailers in NZ and Australia using Vend are able to offer Afterpay in-store. 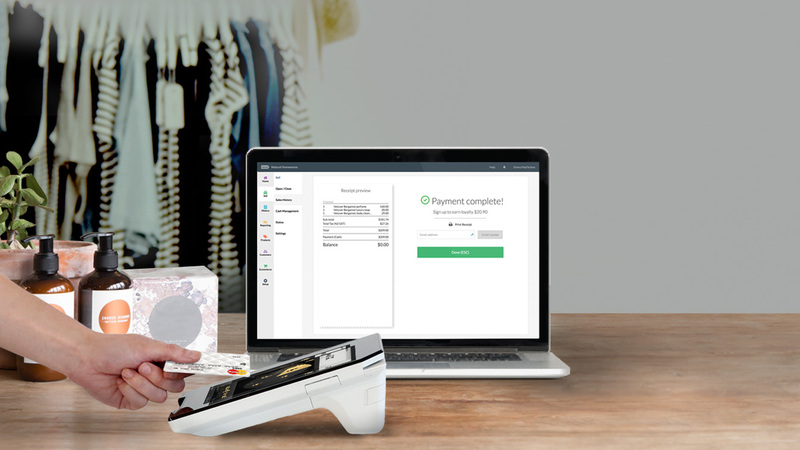 Afterpay’s buy now, pay later solution is used by over 14,000 merchants in Australia and New Zealand, across large-scale bricks-and-mortar stores and online retailers of all sizes. And its in high demand – processing payments for over 1.8 million customers to date. But until today, there was no solution available for smaller retailers to offer Afterpay within their physical stores. We’re changing all of that. Now, Afterpay integrates with Vend so businesses can easily set-up and sell with Afterpay in-store, allowing independent retailers to truly compete with larger stores, increase sales and gain repeat customers. Afterpay allows customers to buy in-store instantly, putting down a quarter of the cost and paying over four equal fortnightly instalments – helping customers manage their monthly budgets. It offers the benefits of a layby service with an immediate take-home option. To make a sale with Vend’s POS, retailers simply need to scan the customer’s unique Afterpay barcode via a mobile device and the payment feeds straight into Vend, keeping the check-out process quick and seamless for both retailer and shopper. It’s that easy! The post Afterpay is now available in-store with Vend! appeared first on Vend Retail Blog. Today is an exciting day! We’re launching our new partnership with the Commonwealth Bank of Australia, which means that from today its purpose-built payments tablet Albert will feature Vend’s Register app. This gives Australian retailers a world-class mobile payments option linked directly to their point-of-sale. At a time when customer experience and mobile is more important than ever, we’re so pleased to be able to provide more choice for retailers in how they can sell, connect with customers, and run their business. 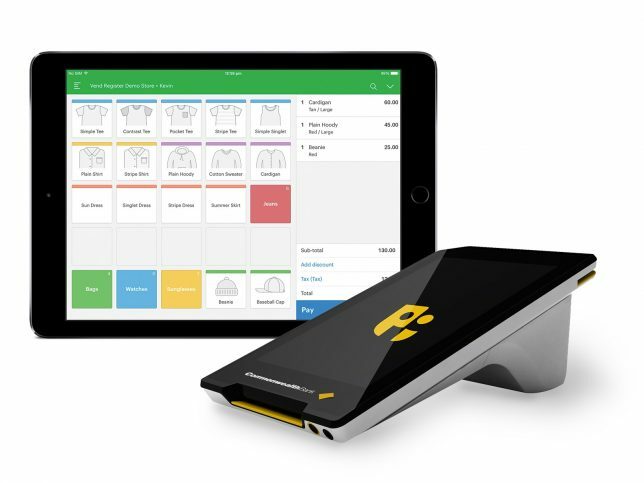 Retailers will be able to connect Commonwealth Bank’s Albert with Vend on their iPad, Mac or PC to accept payments and make sales on-the-go, and automatically sync their payment data to eliminate manual errors. Scale easily by adding products, staff, customers, registers and stores in just a few clicks. To find out how you can use Vend and Albert together click here. The post Vend partners with Commonwealth Bank, giving Australian stores the tools to compete in retail today appeared first on Vend Retail Blog. We live in an increasingly mobile world. Pretty much everyone has (and spends a great deal of time on) a cell phone, and devices like tablets and smartwatches are prominent features of today’s society. It’s no surprise, then, that for several years now mobile technology has been one of the biggest and fastest-growing trends in the retail world — something that’s perhaps most true in the United States, where much of this technology is pioneered or widely tested. So why should you care about mobile trends? Let’s take a look at some statistics. These numbers are big, and it’s safe to say they’ll only continue to grow. Here, we’ve outlined three key trends on the rise in the U.S., as well as some quick tips to help you take advantage of their potential. What’s the point of all our fancy technology if it can’t help us save time when we’re shopping? Consumers are increasingly looking to retailers for convenient payment options that don’t involve waiting in line at the cash register — and retailers are responding with custom apps, adoption of mobile wallets, and cloud-based systems that allow customers to bypass checkout lines to complete their purchases. Mobile payments are one of the biggest trends in retail at the moment (PYMNTS.com even said they’ll “kill countertop checkout”), with business giants such as Starbucks, Target, and Walmart implementing quick, easy solutions for their customers. If in-store pickup isn’t a great option for you, look into other ways to minimize your customers’ time in the checkout line. The more efficient your payment process is, the happier they’ll be — and happy customers are more inclined to shop with you again. One of the best ways to target the 61% of shoppers who say they “expect to use their smartphones more in-store”? Location-based technology. 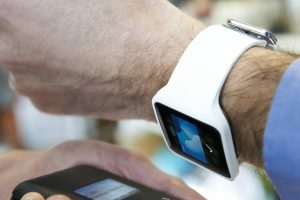 Using devices such as beacons, retailers can pinpoint shoppers using their mobile devices in physical shops and push tailored messages, promotions, and mobile-specific loyalty programs to their phones, tablets, or wearables (such as watches). 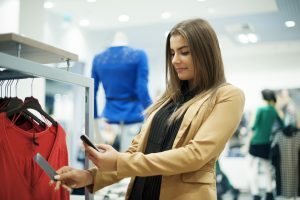 The numbers surrounding beacons and proximity marketing are huge; Business Insider’s BI Intelligence estimated that beacons would influence nearly $45 billion USD of in-store retail sales in 2016, and retailers such as Urban Outfitters, Macy’s, Neiman Marcus, and Best Buy have implemented them in their stores. 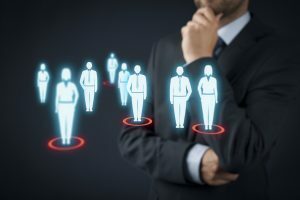 Location-based technology has the potential to create a seamless customer experience, to elevate your brand in the eyes of consumers, and to propel your business into the future — but it’s important to be mindful of the potential risks, such as security breaches and personal privacy infringement. Quick tip: Don’t underestimate the value of location-based technology. Invest in whichever kind will work for you (in addition to beacons, options include Wi-Fi, RFID, and GPS), and use it to give customers more enjoyable experiences. Some ideas? Reward them with 15% percent off every third time they visit your store, or detail the cool new features of your just-in products. We’ve all seen it happen: one minute you’re looking at a pair of headphones on Amazon, and the next you’re seeing an ad for that exact product on your Facebook feed. That’s obviously personalized advertising, but it speaks to a greater mobile trend within the retail world. After all, everyone wants to feel special, right? If you can make a customer feel as though he’s separate from the masses, he’s more likely to want to engage with your business and its products. So how can retailers leverage data to create more personalized experiences? Quick tip: Come up with non-invasive ways to get more data from your customers. Ask for an email address at checkout, or collect information through your POS system. Once you have the data, put it into action. Craft targeted marketing campaigns, send discount codes and exclusive offers on special dates such as birthdays, and use purchase histories to let customers know when their favorite products are back in stock or on sale. Head to the comments to let us know how you’ll be taking advantage of these mobile trends! The post 3 Mobile Trends Making Waves in the U.S. — and What Retailers Should Do About Them appeared first on Vend Retail Blog.